Send Harry Bains an email. 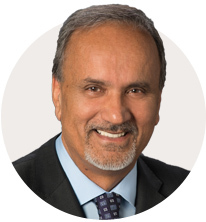 Harry Bains was re-elected as the MLA for Surrey-Newton in May 2017. He was first elected in May 2005 and re-elected in 2009 and 2013. He is the Minister of Labour. Harry served as the Official Opposition spokesperson for Forests, Lands and Natural Resource Operations. Harry has been a strong voice in the fight for affordable and efficient public transit. He has worked alongside commuters, community and business groups looking for transportation alternatives, and has been a vocal opponent of transit cuts. Harry was instrumental in his past role as Opposition critic for Olympics and sport by holding the government accountable for cost overruns and pressuring them to remain fiscally responsible in planning the Games. He also served as Opposition critic for Jobs, Employment, Labour and Worksafe BC. Harry has been active in the Surrey community for many years. He served on the Kwantlen University College Board of Governors from 1993 to 1999, serving as vice-chair for three of those years. He has also volunteered with organizations such as Habitat for Humanity. Harry has an extensive background in community service. He was an elected officer of Steelworkers-IWA Canada Local 2171 for over 15 years. He served most recently as vice-president of his local, where he led negotiations and engaged in bargaining for better working conditions for working people. Harry and his wife Rajvinder live in Surrey. They have two children, Kulpreet and Jasmeen.